This darling sleeveless romper features little flutter sleeves and smocking on both the chest and ankles. Snaps in the legs make easy clothing and diaper changes. Snaps are NOT on the size 3T or 4T. 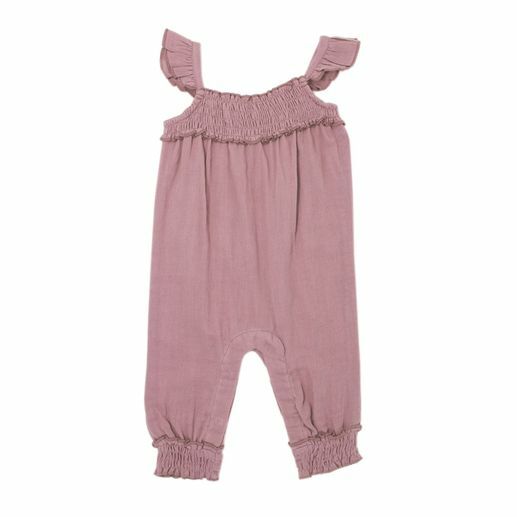 Made of 100% organic muslin by L'ovedbaby.